Óbuda University is one of the major players on Hungary higher education market. It provides high-quality training and education in the fields of engineering, information technology, economics, technical and teacher training. Óbuda University has been awarded the prestigious Quality Award in Higher Education, for recognizing the continuous quality improvements in the institution. 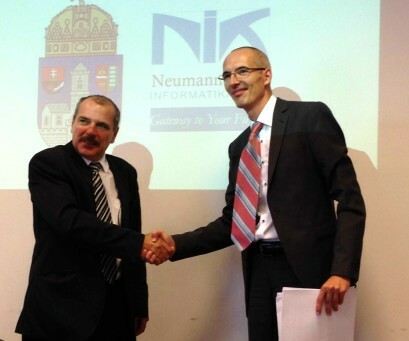 From now on the University partners with Sigma Technology Hungary. The signed agreement foresees joint work of the company and John von Neumann Faculty of Informatics in a number of areas, including joint courses in the University undergraduate program in the field of technical communication, consultancy in training programs, cooperative trainings related to the University’s engineering programs, joint activities in students’ development and research work. Dóra Cseresnyés, unit manager at Sigma Technology Hungary, will be responsible for the cooperation.